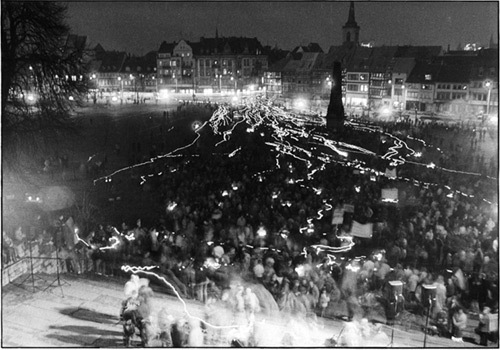 other than in leipzig, in erfurt the historic ‹monday demonstrations› were thursdays. after the prayers for peace in several churches of the town all participants gathered on the domplatz for the demonstration for freedom and perestroika. you see an long time exposure of this moment i have taken with my exa 1c.